There is a great fairy tale about two princesses. 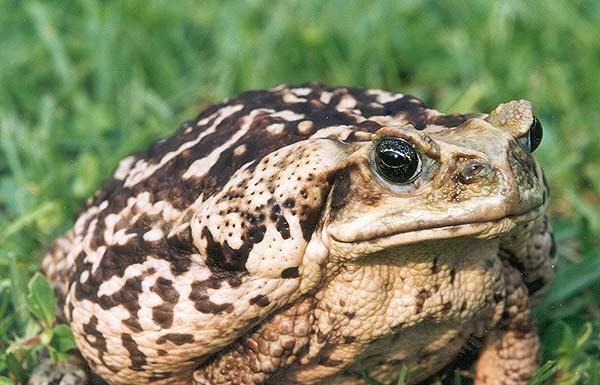 I can't remember the whole story, but I do remember that every time one opens her mouth, jewels and flowers and all manner of lovely things tumble from her mouth, and every time the other opens her mouth, out pops nothing but toads, newts, snakes and stuff like that. 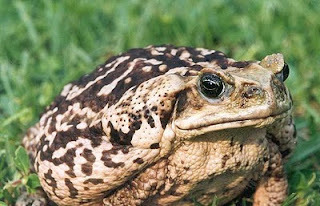 I'm fortunate enough not to be burdened in this way, but occasionally, when some demon sent from H-E-double-hockey-sticks takes possession of my brain to mouth connection, out pops a toad of the most warty and horrible kind. A couple of years ago, my second son suffered a concussion at school during Physical Education class. After seeing our doctor a couple of times, it was recommended he see the pediatrician who visits our clinic once a month. The pediatrician, whom we had never met until our appointment with him, was a very kind, well-mannered gentleman-like man originally from somewhere in South Asia. He introduced himself to us, and his first name happened to be Osama. I'm usually terrible when it comes to remembering names - usually they flow in one ear and directly out the other and I have to ask the person to tell me again. This time, however, I remembered the name. Osama. Considering everything that was in the news at the time with the hunt for Osama Bin Laden very much still on and in the forefront of the news, it would have been a difficult name to forget for anyone. And I had never met anyone else with the name. "So is Osama a common name where you are from?" The words slipped like a snake in water from my tongue. The good doctor looked at me quickly. "Yes, quite common." "Well, I suppose it's no different for you than for people named Adolph in Austria or Germany." The good doctor mumbled something polite as his look said something else altogether, and my son and I walked down the hallway out of sight. It was dawning so painfully on me as we left the building just what I had said. To be honest, I didn't mean it like it sounded. I'm always drawing parallells, except this time, needless to say...I shouldn't have. I wondered if I should run back in and apologize in tears and on bended knee, but I knew that might only make it worse. He was probably with another patient anyway, and my son had to get back to school. "Mo-o-o-o-m, why did you SAY that????" If a son was every more embarrassed by his mother I would like to meet him. I know it is very hard to believe after reading the above that I am not a bigot, but if the good doctor Osama, like poor Prime Minister Brown, were to be heard muttering 'That woman is a bigot' to his colleagues at the clinic, and I were to hear it like that unfortunate woman from Manchester in the news this week, I would not blame him. Not one bit. About that incident in the ____ Medical Clinic two years ago, I apologize from the bottom of my heart. e) wrote about an extremely embarrassing moment. 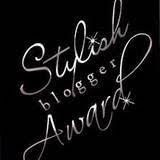 I also have to choose at least three bloggers to give the award to. So, I would like to offer this award to any one of my faithful readers/bloggers who hasn't completely written me off after reading this post. I know, I know, wimpy move. I'm so honoured when someone tags me or gives me an award but I absolutely dread having to choose people to pass it on to. So, this time, I'm pulling the ol' nepotism thing. 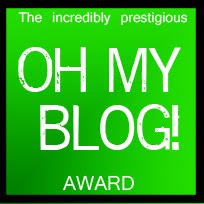 You pat my back and tell me it's going to be okay, and I pat yours and give you a shiny new award to post on your blog. Enjoy your shiny award, and don't forget to dust it off from time to time. I'm off to an arts councils conference this weekend, which is why my next post might be called, "Why I'll probably die volunteering." Nah. It'll be fun, and I get to see my sister, Monica who is also going as a representative of her region in British Columbia. 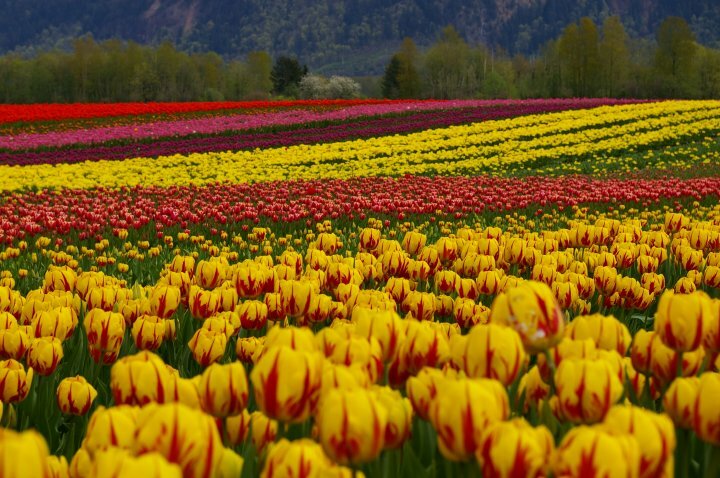 The Fraser Valley Tulip Festival is done for another year. Yesterday was our last day. Due to a couple of days of heavy rain this past week, the flowers took a beating; damaged flowers invite disease, so it's 'off with their heads!' to protect the growing bulbs. The field workers will now be left in peace to tend the fields (and turn their tractors around without waiting for someone to move their tripod), and the First Nation community that owns this land will return to normal life once more. I remember once when Toni (short for Antonia) and I were walking up the lane behind her house. It was the summer of grade seven and I was in my tomboy phase. I, sporting short hair a la Jodi Foster, wore cutoff jean shorts and a shirt with stripes on the sleeves and a number on the front. I can't remember what Toni wore but it was no doubt more feminine than what I was wearing. It wouldn't have mattered anyway because people were starting to say she looked like Brooke Shields with her big blue eyes, long wavy hair and dark eyebrows. Some boys were perched on the rock wall along Herridge Lane, and we walked by them without looking. We had walked a little further when one of them called out in a sing-song voice, "Toni's got a boyfriend!" It took me a few seconds to register exactly what they had meant by that. Either they truly thought I was a boy, or they were trying to let me know I looked like one. That wouldn't have surprised me. Kids were always letting each other know how to be socially acceptable. I started dressing more like a girl after that. Toni and I have been friends since we were six. In fact one of my early posts is all about her and her family, who immigrated from Zambia when Toni was four years old. (The post is called 'Zambian Dreams'.) Toni was a dreamy little person when I met her. She loved big words and writing stories, and we spent hours making paper dolls, real doll clothes, cakes in her Easy-bake oven, and spending her allowance on ice-cream cones. Our friendship waxed and waned over the teen years as she stuck to her purpose of doing well in school, at synchronized swimming, and various creative projects, and I, well, concentrated on other things more socially inclined. If we had both known and understood the terms 'introvert' and 'extrovert' perhaps we would have avoided some of the pitfalls of being two opposite personalities. We sorted it all out eventually, though and have been dedicated friends all along. We had other friends, too and we had a good group by grade nine or ten (ages 14-15 for my European friends). Val, Rachel, Tanja, Toni and I wove in and out of each others' lives and still do. In our later teen years and early twenties we began to go our seperate ways to college, some of us marrying young. We now all have families and successful careers (or at least they all do) and I am proud to be able to call them my friends. In about grade ten or eleven, when kids were starting to be able to aquire drivers' licenses, we added new friends from neighbouring communities to our expanding group. Several boys from the Slocan Valley began to come to our parties at Mike Bean's house, to our high school dances, and to generally be seen on the streets of our hometown. Most of these kids were children of alternative lifestyle types - many dodgers of the American draft during the Vietnam war, and others just people who had looked for and found a spread-out community along the meandering Slocan River where they could live peacefully and independantly. During our first year at the community college, Toni and I made friends with Jakob and Kai, both hippie kids from the Valley. We spent a year hanging out together as a foursome . I remember we would all lie on pillows in Toni's room and talk about life, people, and the universe in general. Sometimes we would drive out to Kai's place in winter and spend an hour in their outdoor wood heated sauna. Laquered pictures covered the walls of the wooden outbuilding and we would sit on benches sweating in the moist, eucalyptus scented heat that was created by ladling water onto the hot woodstove. When we couldn't take the heat any longer we would go out into the snow and visit the donkey behind the fence to cool off. That was a good year, an innocent time, and several years later Toni married a Slocan Valley friend of Jakob and Kai's. Several years ago, when Toni was doing her Master's degree in Creative Writing at a university in Australia, she wrote the first draft of a novel about a group of friends who meet for a memorial, ten years after they graduate from high school. She sent me the manuscript two years ago to read (and enjoy!) and this spring it has been published by Thistledown Press, a Canadian publisher. Never Going Back is Toni's second book, but her first novel. It is set in Nelson, British Columbia, our real hometown, and although it is not about any of Toni's friends in particular and the events are purely fictional, I like to think that it is, in a way, about all of us in our small town group, a generation ago. Toni has just started a blog which you can find at http://abanyard.blogspot.com/ to promote her books and share bits and bobs about being a writer and a new mother at the same time. You can also find it on my blog roll, and if you do visit her there, you will find a photo of Toni and I in her back yard as thirteen-year olds, dressed like twins with the beautiful Kootenay Lake as a backdrop. 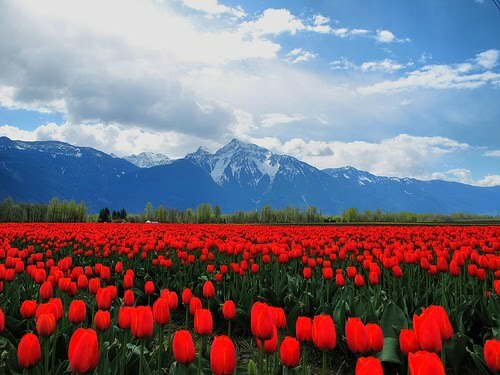 I am spending two weeks working for my friend Kate at her Fraser Valley Tulip Festival. The forty acres of tulips are like a flag of colour spread across the land and you have to walk beside or down the middle of the plantation to get a sense of just how many millions of tulips there are in each ribbon of colour. The flowers are grown for their bulbs, which are harvested in May and then dried over the summer to be planted in the greenhouses in the Fall for cut flowers as early as next February. It is truly a pleasure to go to work every day and greet the hundreds of visitors who come to enjoy the sight. On the weekends the crew greets thousands. The photos are by Kate's sister Julie Gilbert-Stevens. I hope to have some more photos next week to share. My daughter Emma's grade 8 French class was given an assignment last week, which required, and therefore assumed their being in possession of, a video recorder. The students had three days to complete a short video with a clear picture and good audio. Each student was paired with another, perhaps with the idea that at least one of them would have access to said piece of digital equipment, as well as a computer for downloading the video and some means of storing and transporting it such as a flashdrive, a CD Rom, etc. Fortunately, Emma saved up her own money last year and bought herself a good quality digital camera with video capability. She and her partner worked hard on the video, taken mainly at the stables where they spend a good part of their time, downloaded it last Sunday evening onto our last remaining CD Rom (after it proved too big a file to be emailed from our aged computer to the teacher's - another option) and handed it in on time on Monday morning. The girls didn't need my help, except for some feedback on the final video, so for much of this process, I sat back and wondered. My daughter was fortunate enough to have all the necessary tools at her disposal (and a dad willing to help her find a way to store and transport the video), but was it right for the teacher to assume this? In our society, most people seem to be on a high powered conveyor belt, content to be carried along by technology's rapid progress, accepting that the constant upgrading is a matter of course. I fully admit that I am a reluctant passenger on this conveyor belt. I own a computer, of course, but it is, as the sweet kid at Future Shop told me recently, practically from the Middle Ages. We bought it in 2004, and have added memory, updated graphics cards, and an external hard drive. Until my local pharmacy stopped developing film and it started costing twenty dollars a roll to develop in the nearest city I was fairly content to keep on using my old fashioned Pentax camera. Mind you, when I would take a photo of the little boys I used to look after they would always ask, "Can I see it?" thinking there would be a screen on the back of my camera just like their parents'. I held out on buying a CD player until the movies I wanted to see were no longer being released on VHS. My husband and I have toyed with the idea of buying a video camera, so we can record our children's musical performances, but every time we get close to the carrying out of this plan, we back out of it and spend the money on something else we need more. 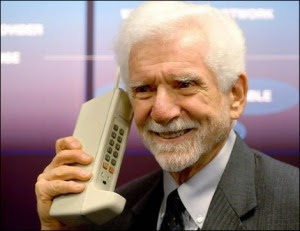 I don't have a cell phone of my own, but my husband is issued one through his work. 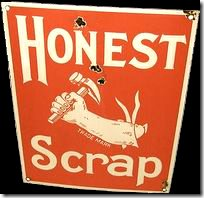 I have thought of aquiring one for myself for work, but I just can't seem to feel the need for one urgently enough. I don't own an ipod because I don't like to run with music, and those earbuds bother my ears after a while anyway. I see the benefit of recording my favourite shows on an HDTV with TVO, but while I can still use my old VCR for taping shows I just can't miss watching on my Sony Trinitron tube tv I don't see why I should rush into buying this 'must have' set-up. I suppose I'm like the old farmer who, when asked by the travelling salesman if he would like to try the gas-powered tractor as an improvement on his horse-drawn plow, moves the stem of wheat to the side of his mouth and responds, "Now why would I want to do that?" Perhaps my reluctance to buy into all this technology for myself is part of an innate deeply held belief that it is unnecessary: I just don't want to spend the money when it could be used for other things like books, coffee and scones at the cafe, running shoes, or a family holiday. My children, on the other hand take technology for granted, as if they had been born plugged in. They all have ipods of some kind, my girls each have a digital camera, and my second son recently bought a Wii gaming system, the first of its kind that his dad and I have allowed into the house. We were really strict on that point. We always believed that the computer and the television provided enough screen time, and the week when, several years ago the son in question was loaned a Gameboy by a friend, cemented our determination all the more. He has always been a goal-driven child and so could not leave the thing alone until all the games he was loaned had been conquered. Every free minute was spent in frenzied button pushing until he beat the last level. It drove me crazy. We live in a mild climate and I wanted my children to take advantage of that by spending plenty of time out of doors. I also told my second son when he would beg me to let him have a game system that I wanted him to develop all the real world interests he had outside of video games first, and when those were well established (he plays the violin beautifully, likes to run, to draw and paint, to read and play board games) then he would be able to keep the video game thing in perspective. So far, so good, but even at fifteen he lacks awareness of how much time has passed during a session of adventures in Zelda's world. So here I am, at the computer, walking the tightrope between two worlds. Embracing technology one minute and disdaining it the next. I love having a blog. I thoroughly enjoy connecting with bloggers from different parts of the world, with friends and family on Facebook and by email, and I really like the immediacy of my daughter's digital camera, something I will buy for myself before long. I also like how my children can watch great music videos on YouTube and that my husband can keep up with his favourite soccer teams in the English Premier League. On the other hand, I am annoyed by the guy in the suit with the Bluetooth on his ear, talking business at full volume while he shops. I regret that I have not the time to read all the blogs I am interested in keeping up with and feel guilty when I either spend too much or too little time trying to do so. I understand that when it comes time to buy a new computer I will marvel in its features, its speed and its megamemory, but part of me will still look at it like it is just another elaborate toy in the grand scheme of things. I grew up in an age when the computer was just beginning to be useful to the average person. It was my far seeing mother who convinced me to take typing and a course called 'data processing', both which have proved incredibly useful. The high school that my children attend just purchased brand new Windows 7 computers for their computer lab. My daughter thought this incredibly wasteful, especially when they are having to lay off teachers. "The computers we had were only two years old. They were just fine!" she said. Perhaps I'm rubbing off on her. I can't help wondering if, in a few years time, the school supply lists will include, beyond the required scentific calculator for Math, a digital camera, a laptop, and a GPS. One can only hope, if that happens, these pieces of technological equipment will have dropped in price like the calculator. When I was in school, electronic scientific calculators were ten times the price they are now. If I hold out long enough, maybe someday I'll be able to buy a camera for fifty bucks and a new computer for a hundred. I might be willing to wait that long, but I don't think my family will.